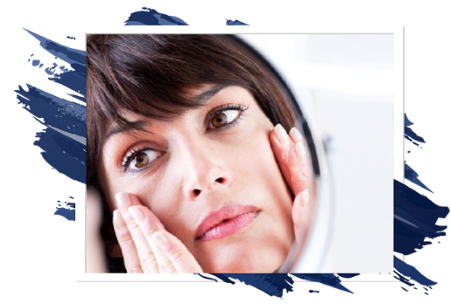 Whether you're fighting natural wrinkles from age or unhappy with a specific feature, waking up and looking in the mirror can be frustrating. It's hard to ignore the features you wish you could change. Sure, you can get Botox and fillers to reduce wrinkles and help reshape features, but they won't give you the long-term transformative results you're looking for. Luckily, there have been impressive advancements in plastic surgery resulting in procedures that can rejuvenate your face and boost your confidence. Cosmetic Surgery of New York proudly offers a selection of facial rejuvenation surgery options performed by Board-Certified Plastic Surgeons with extensive training and experience in facial plastic surgery and other reconstructive cosmetic procedures. 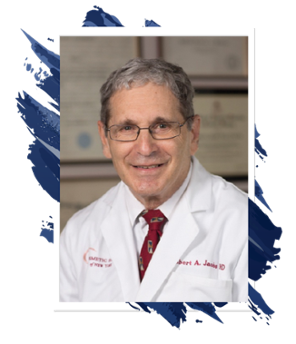 ROBERT A. JACOBS, MD., F.A.C.S. & HILLARD WARM, MD., F.A.C.S. Both Dr. Jacobs and Dr. Warm of Cosmetic Surgery of New York are Board-Certified ASPS (American Society of Plastic Surgeons) Member Surgeons and are certified by the American Board of Plastic Surgery. Trained specifically in plastic surgery, Dr. Jacobs and Dr. Warm attended four years of college and four years of medical school, followed by a six year minimum of Surgical/Plastic Surgical Residency. 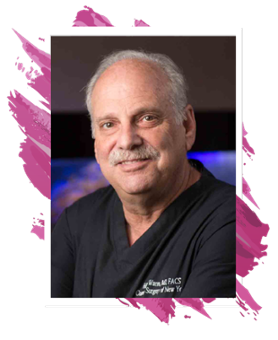 Dr. Jacobs is the Chief Emeritus of Plastic Surgery at St. Charles Hospital and Dr. Warm is the Chief of Plastic Surgery at John T. Mather Hospital. The doctors operate only in accredited medical facilities, adhere to a strict code of ethics and fulfill continuing plastic surgery education requirements, including patient safety techniques. In addition to board certification, it is very important that the surgeon has been designated FACS (Fellow; American College of Surgeons), a title given to practicing and established surgeons in today’s industry. An FACS designation shows that the surgeon's education, training, professional qualifications, professional competence, and ethical conduct have passed a rigorous evaluation consistent with the high standards established and demanded by the American College of Surgeons. 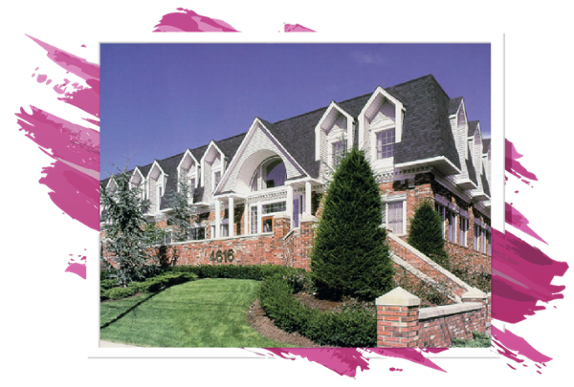 Cosmetic Surgery of New York is considered by many to be Long Island’s leading cosmetic and plastic surgery practice. Our state-of-the-art medical facility prioritizes the comfort, care and convenience for every patient with a medical support team ensuring the continuity of your care on a personal basis, not just as a name on a chart. Accredited by the AAAASF (American Association of Accredited Ambulatory Surgical Facilities), Cosmetic Surgery of New York's cutting-edge surgical facility meets 100% of AAAASF’s set of strict criteria. Over time, constant sun exposure, gravity, and life’s daily stresses begin to take their toll and become more visible on the face than ever before. Deep creases start to form on both sides of the mouth, forehead lines no longer allow certain facial expressions to become visible, and crows feet on the sides of your eyes become more defined than ever before. With our faces being the focal point of our overall appearance, deeper wrinkles can limit our overall confidence and appearance. A facelift can help erase these signs of aging by tightening muscle, removing fat, and eliminating excess skin to rejuvenate your face back to its former radiance. Technically known as rhytidectomy (the "removal of wrinkles"), facelifts rejuvenate the mid- to-lower face in order to counteract visible signs of aging and dramatically improve the patient's appearance and overall confidence. Facelift surgeries are outpatient procedures and are performed in our fully accredited office-based surgical facility, typically while the patient is completely asleep under general anesthesia. Patients have a choice of local anesthesia, where you are awake, IV sedation or general anesthesia - all administered by a board-certified physician's anesthesiologist. Most facelift surgeries are performed over an average of 1-2 hours. Neck lifts and mini facelifts serve as alternative options for patients who desire a less-dramatic and youthful appearance through a simpler, less-invasive procedure. Typically performed in half the time of a traditional facelift with less bruising and quicker recovery time, these alternatives allow for a more targeted surgical approach for patients wishing to remove and enhance a smaller, more specific area of their face and neck. This surgery begins with an S-shaped incision to the front of the ear, typically by the hairline and natural creases of the face. The skin of the jowls and neck are then lifted up and pulled back, followed by the removal of any remaining skin and fat. Though mini facelifts and neck lifts involve similar steps as traditional facelifts, the main difference is that these procedures target only the lower two-thirds of the face. This region is often the first and most likely to be affected by signs of aging. Because of these particular limiting factors, patients receiving a neck lift or mini facelift often opt for surgery to be performed in conjunction with other cosmetic procedures, such as laser skin resurfacing or an eye lift. WHEN SHOULD I CONSIDER GETTING THIS PROCEDURE DONE? While alternative methods like chemical peels, dermal fillers and Botox are all excellent skin care treatments, the inevitable aging process will continue onward despite taking these measures When non-invasive techniques fall short of your desired goals to rejuvenate a tired face, it’s then time to consider surgery. Cosmetic surgery is more acceptable, affordable and safer than ever before. Some patients consider the cost of facial rejuvenation surgery to be the deciding factor, but when compared to similar alternatives like injections that can last anywhere from eight months to two years, face and neck lifts can be more beneficial over time in regards to cost since results typically last around seven to 10 years. A common misconception around face and neck lifts is recovery time. For most patients, recovery takes between 10 and 14 days. During this time, patients can expect some swelling and bruising while the incisions heal. Patients will be provided with detailed post-surgical care instructions and pain relief recommendations to speed up the healing process. I'M A SMOKER. CAN I STILL GET THESE PROCEDURES DONE? Smoking impedes optimal blood supply to the skin edges and peripheral areas so it is imperative that you stop for at least a week prior to surgery and two weeks after. WHAT DOES A FACELIFT, NECK LIFT, AND MINI FACELIFT NOT DO? Although these surgeries result in dramatic improvements to your appearance and can help you look up to 15 years younger, they do not reverse the aging process for stop the aging clock altogether. In time, signs of aging will gradually appear once again. Results from these procedures do not last forever, nor do they eliminate of all wrinkles or prevent them from ever reappearing in the future. Facelift's also don't improve asymmetry. Additionally, it is important to remember that a facelift provides skin tightening and re-draping, not a full makeover to eye brows, eyelids, nose, and chin. If you're concerned with changing these additional facial features, you may want to consider combining your facelift with another surgery that targets the specific facial feature. WHAT KINDS OF AFTERCARE METHODS ARE RECOMMENDED POST-SURGERY? Post-surgery, patients will have a dressing around the face with small drains in the neck,which will be removed the following day. It's recommended to keep the heads elevated and relax with the assistance of post-operative medication to alleviate any discomfort. Discoloration of the skin over the face and neck is usually present, and bruising will gradually disappear in about one week. Most patients resume their daily routines and activities within 7 to 10 days post-surgery. HOW CAN I GET THE BEST RESULTS FROM MY SURGERY? Cosmetic nose surgery (rhinoplasty) is one of the most frequently performed plastic surgery procedures to reshape the nose for an improved size and shape. In addition to enhancing your appearance, rhinoplasty can further enhance the overall profile of your face, as well as help improve your breathing. The best rhinoplasty results are achieved when going through a full cosmetic nose surgery evaluation and consultation with your plastic surgeon to fully inform yourself of the procedure and know exactly what to expect. When meeting with your surgeon prior to the procedure, the doctor will examine the structure of your nose, both externally and internally, to properly evaluate nose function and form before proceeding with specific recommendations that will suit you best. Photographs will be taken, and through state-of-the-art imaging technology, preoperative planning will be done with the patient to ensure optimal results. Skin thickness, bone structure, breathing difficulties and ethnic background are important factors to take into account to discuss with your surgeon prior to treatment. 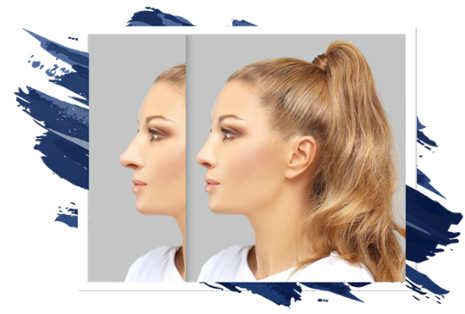 Because of the interrelated nature of the nose and face, many patients with weak chins also choose to have a chin augmentation in conjunction with rhinoplasty in order to create a better balance of facial features. Browplasty, also called a brow lift or forehead lift, removes excess sagging skin on the forehead and repositions the underlying muscles and tissues. A brow lift can correct a heavy, sagging brow and restore a smoother, more youthful contour to the upper-third of the face. It also provides rejuvenation to the skin above the eyes to restore a more refreshed appearance. Blepharoplasty (eyelid surgery) is a procedure that corrects tired looking, sagging and drooping eyelids. 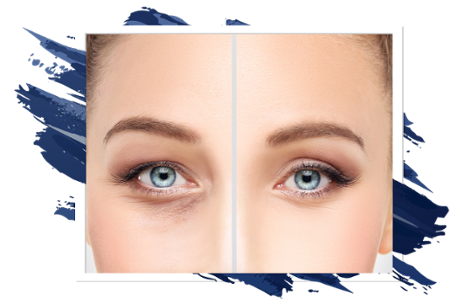 Since the skin on the eyelid is much thinner, it is often one of the first facial areas to exhibit signs of aging. This procedure become necessary when various factors like sun damage, smoking and obesity cause the muscles and tissue that support the eyelids to weaken. For cosmetic purposes, a blepharoplasty can be performed on either the upper eyelid, lower eyelid, or both. If a lower eyelid needs fat rather than skin removed, a transconjunctival blepharoplasty can be performed. During this procedure, an incision is made inside the lower eyelid; the fat is then removed, resulting in a younger and more refreshed look with no visible scars. It is important for patients to have realistic expectations before undergoing cosmetic blepharoplasty. Although the procedure can enhance appearance and improve self-confidence, it does not and will not radically alter the face. If the eyelids begin to sag and affect the field of vision, a functional blepharoplasty procedure might be required. If it is decided that the procedure is medically necessary, a functional blepharoplasty could be covered by health insurance. Otoplasty (ear surgery) is a cosmetic procedure used to improve the appearance of the ears. Most often, otoplasty is performed to correct and reshape ears that are significantly protruding outward from the edge of the face. While otoplasty does not affect internal hearing quality or improve related audio difficulties, it does provide significant benefits to anyone who may be self-conscious of their ears and seeks to fix the size and shape. WHEN CAN I GET OTOPLASTY? People of any age who feel self-conscious or embarrassed of their ears are all great candidates for otoplasty, though the surgery is usually performed on children between the ages of 5 and 14. Otoplasty generally takes about one hour and can be done under either general anesthesia, IV sedation or local anesthesia. Otoplasty begins with a small incision made behind the ear, within the natural crease of where the ear meets the head. The ear’s cartilage is then reworked, sculpted and shaped to achieve the patient’s desired appearance. Results are immediate and permanent. A well-defined chin helps give balance and structure to your face and serves as a major part of your profile and overall appearance. 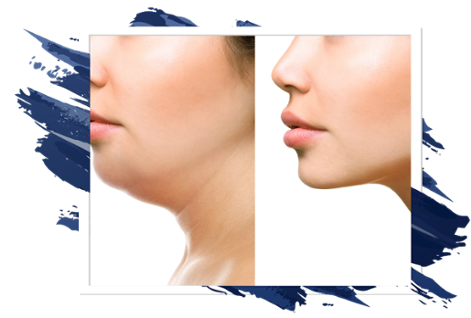 Mentoplasty (chin surgery) is a cosmetic surgery procedure that reshapes the chin either by enhancing or reducing the size. This procedure can help balance the features on your face and create a more appealing facial profile. Mentoplasty to augment and reshape the chin takes approximately 45 minutes to an hour to perform, under either local anesthesia with sedation or general anesthesia. During the procedure, an incision is made inside the mouth in order to eliminate visible scarring. A pocket is then created for the implant, which is inserted, placed and positioned. For someone desiring a more permanent correction to their chin, a surgical implant can also be incorporated. After surgery, patients can return home the same day. 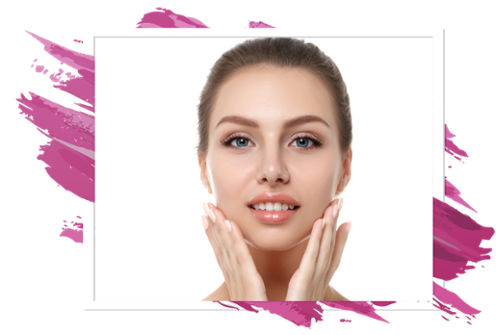 Chin augmentation is an enhancement surgery to the chin that can be accomplished through facial implants or injections to enlarge and define the area. Thanks to injectable fillers, patients can achieve instantaneous chin enhancement results. Although not permanent, they have the advantage of being adjusted if need be. For someone who desires a more permanent correction, a surgical implant can be used. A chin reduction minimizes the size of the chin by reshaping the bone and structural tissue to create a smaller, natural looking chin. Today, most cheek augmentation procedures are done with injectable fillers. Since they are not permanent, they can be adjusted if the patient is not happy with the results. For a more permanent correction, a cheek augmentation using surgical cheek implants is an option. AM I A GOOD CANDIDATE FOR A CHEEK AUGMENTATION? The ideal candidate for cheek enhancement is anyone who wants to restore fullness to their cheeks. Threadlift facial procedures lift the skin back to its original position, giving a true age-reversing effect. While technology has made tremendous advancements in cosmetic surgery, the missing treatment desired by many was known as a non-surgical solution for lifting the deeper layers of skin. Though skin tightening treatments like Thermage firm and tighten the skin, patients still want an extra boost to lift their skin, plus re-contour their face and neck area. Silhouette Instalift (Silhouette) and Novathread. Both procedures are safe and effective with very little downtime - perfect for those who wish to achieve immediate lifting of their face without surgery. Both procedures provide excellent results for men and women between the ages of 35 and 70. While fillers are used to plump up the skin, in some instances patients needed a lift without the added volume from fillers. Plus, one thread treatment immediately lifts sagging skin and keeps on working long past the initial treatment with a double-action effect that restores smoother and more toned skin over time. Cosmetic Surgery of NY accepts all major credit cards — Visa, MasterCard, American Express, and Discover. Personal checks are also accepted when submitted two weeks prior to the scheduled surgery date. Payment for procedures involving insurance coverage, or predetermination of coverage, are handled individually for patients permitted to go out of their insurance network. We offer our patients a choice of financing options with American Healthcare Lending or CareCredit®. CareCredit is a financing option that offers affordable payments plans, low interest, and a fast and easy loan process. Use the online calculator below to calculate your monthly payment. Financing for CSNY's cosmetic surgery procedures is widely available to our patients, and we invite you to apply online. Cosmetic Surgery of New York, PC also participates with Medicare insurance. We are out of network for all other carriers. All of Cosmetic Surgery of New York's doctors are board-certified surgeons and are affiliated with St. Charles Hospital, John T. Mather Memorial Hospital, St. Catherine of Siena Medical Center, Peconic Bay Medical Center, and Stony Brook University Hospital.